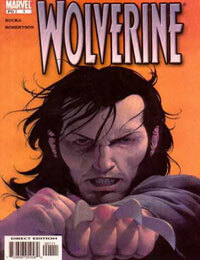 Wolverine (2003) Average 0.00/5 - out of 0 total votes. You can call him mutant or animal or hunter or even Wolverine, he could care less. He's old enough to remember Teddy Roosevelt taking office, his bones are unbreakable, his senses are extraordinary, he regenerates injury at an inhuman rate, and his rage is unholy. You can call him whatever you like. He calls himself Logan.